A GREAT Waterfowl Week !! You do not often hear that statement applying to Randolph County, WV. 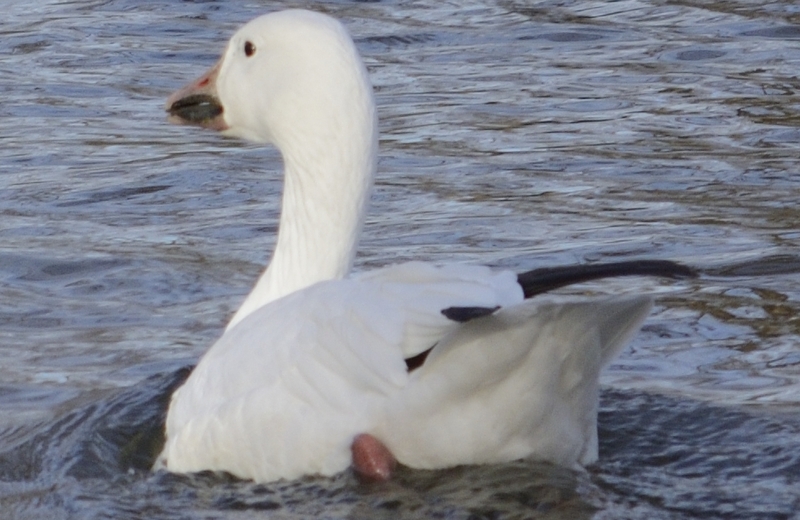 But it has been a pretty good week for seeing waterfowl. As far as I know; there have been sightings of all three Merganser species, both Greater and Lesser Scaup, Redheads, Canvasbacks, Ring-necked Ducks, American Wigeon, American Black Duck, Ruddy Ducks, Buffleheads, Wood Ducks and the ever present Canada Geese and Mallards. 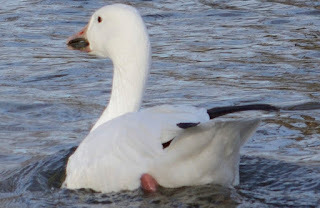 Today, I found 3 Snow Geese at River Bend Park in Elkins. We never have much as far as high numbers go. But it doesn't get much better than this; around these parts. 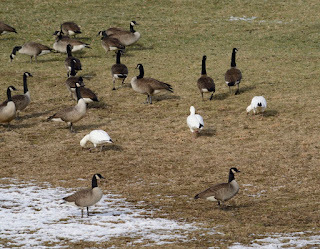 I did hear some Tundra Swans fly over one day this week, too. Get out there and find something good. You never will know what you may find; if you don't go look. That is guaranteed. If you are looking for some cold entertainment; most of the weekly stocked trout streams received their January trout allotment this week. The nights have been frigid in the mountain counties and water with little current has started icing over. If you are tough enough or crazy enough; I suppose there are trout out there to be caught. The weather is supposed to improve for the upcoming week and temperatures are expected to be in the forties. That is a little more appealing to me. It may be time to buy a trout stamp; then. The waters that were stocked this week are listed on the Stream Report page of High Virginia Outdoors. As 2012 gives way to 2013, this is the time for New Year's resolutions. This year, why not make your New Year's resolution to use eBird...or to use eBird more often. In 2012 eBird received 33,862,411 observations on 2,460,415 checklists from 38,899 observers--a 45% increase over 2011. eBird thrives on data, since the models used to create animated migration maps and guide conservation efforts, such as those highlighted in the State of the Birds report, perform best with large amounts of data. In eBird, every observation matters and no sighting is insignificant--daily counts of House Sparrows at an urban feeder are just as valuable as surveys of remote islands full of rare birds. Our goal is to understand what's happening with birds anywhere, anytime, and in order to do that best, we need all of your sightings. In 2013, please consider committing to submitting one eBird checklist a week. If you are ambitious, shoot for one a day. Each checklist can be as simple as 5 or 10 minutes spent watching birds in your backyard or a 30 minute walk in a nearby park. Give eBird a try, you'll like it and you WILL learn something from the experience. 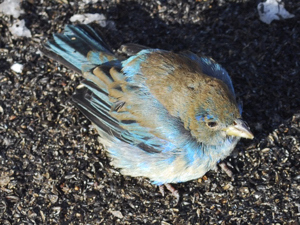 You can compile your own data of observations and help with bird conservation world-wide. I started out with eBird in 2006 and began by just entering observations from my yard on a weekly basis. With that data, I can now tell you within a couple of days when a particular species may be seen around here. I know it is time to plant the potatoes on the day the first Catbird arrives, too. Best of all, it is FREE and will not hurt you one little bit !! 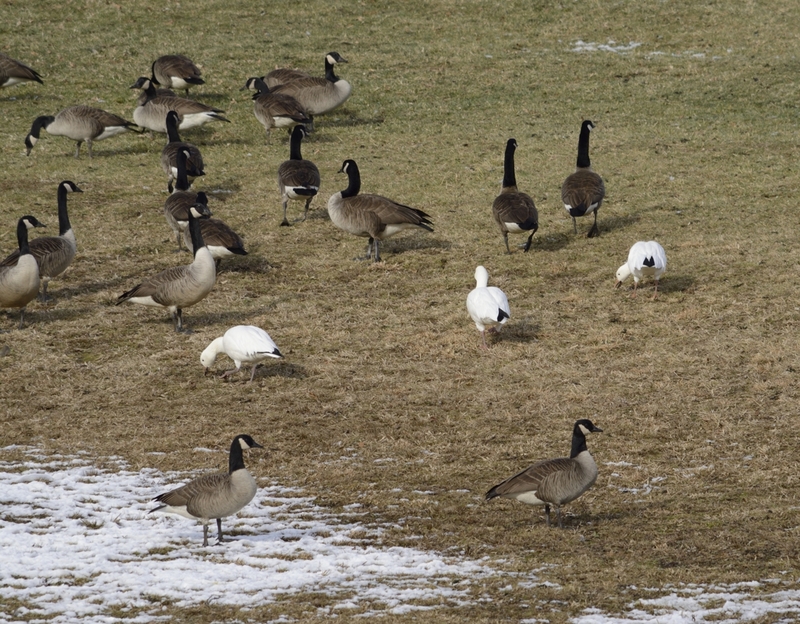 Randolph County, WV is not known as a waterfowl hotspot; but you never know what will show up from time to time. This Canvasback sure surprised me. It was at the railroad trestle near Norton, this afternoon. (1/2/13) This location is just above the mouth of Grassy Run (the crown jewel of Randolph County). 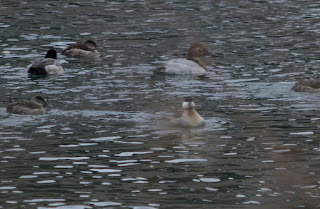 There were also 2 Lesser Scaup, 4 Buffleheads and 7 Ruddy Ducks present. This was a nice and pleasant way to start off the 2013 birding year. Until this afternoon; I was quite happy with the American Tree Sparrow and the Red-breasted Nuthatch, to begin the year. 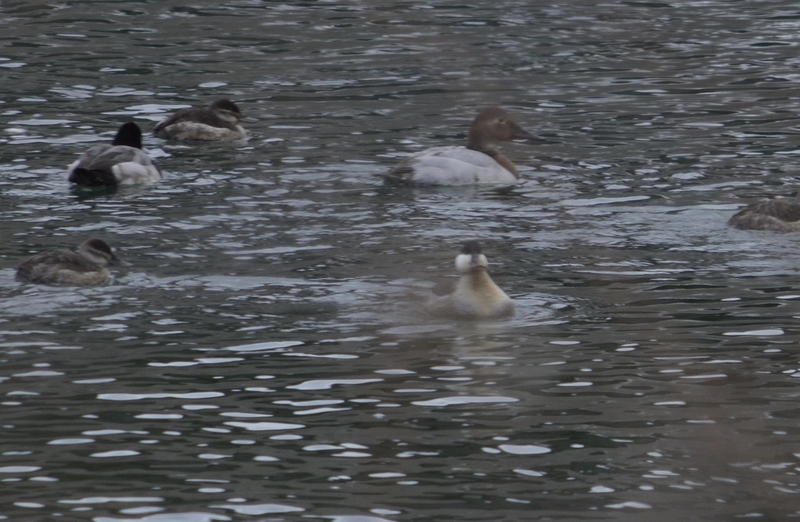 This may possibly be the first recorded sighting of a Canvasback in Randolph County ! !